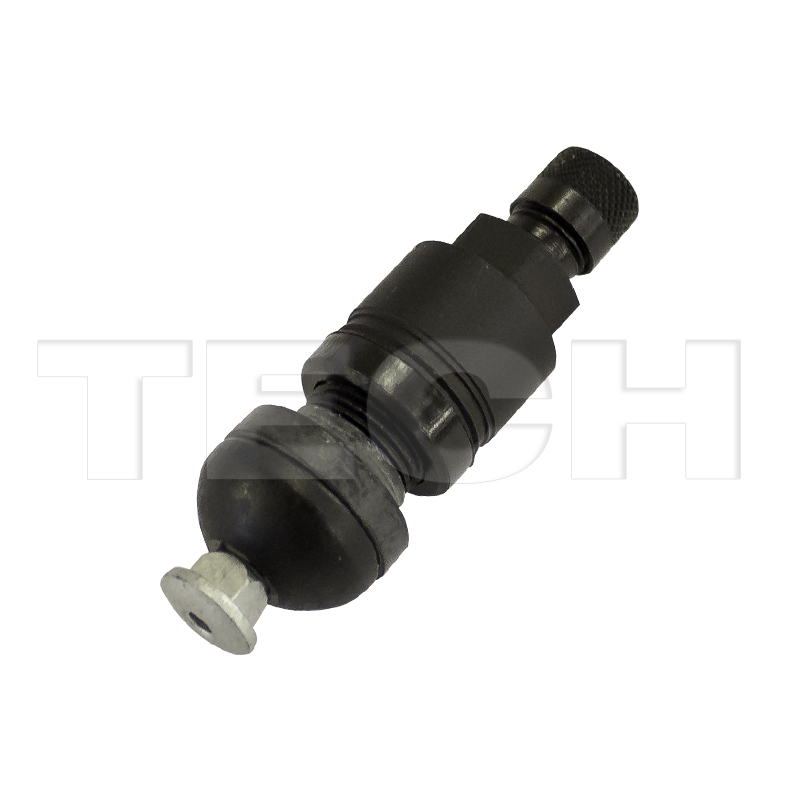 A complete single HUF black clamp-in valve, which includes: 1 Valve Stem, 1 Nut, 1 Rubber Grommet, 1 Screw, 1 Anti-Rotation Pin and 1 Valve Cap. This valve is suitable for use with HUF Gen 2 type sensors. The length of this valve is 43mm. All content © Copyright TECH 2019.